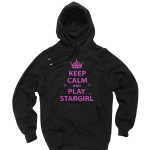 Star Girl - Shine like a star with Star Girl’s limited edition t-shirts! 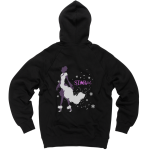 Home Featured Slide Shine like a star with Star Girl’s limited edition t-shirts! 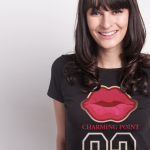 Shine like a true Star Girl with these stylish t-shirts! Available exclusively in all Star Girl apps, you can choose from several shirts with chic designs. Just tap the banner ad in-game shown below to check out the different shirt designs and place your order. Payment is processed via credit card, and parcel delivery will take about 14 business days. Tap the ad to shop! These cute tees available for a limited time only, so grab yours now!